TRELLY'S STOCKTAKE SALE - 3DAYS ONLY - THIS THURSDAY, FRIDAY, SATURDAY! 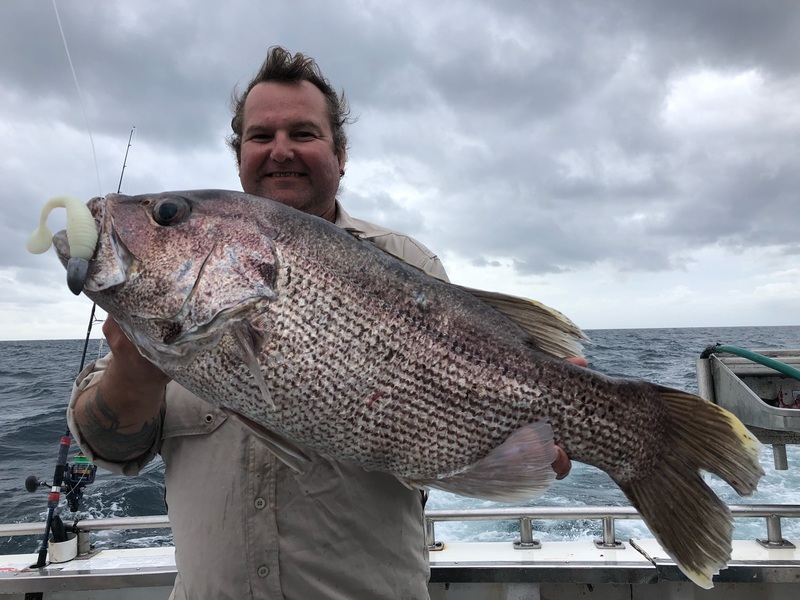 Corio Bay was an attractive location due to its protection from the strong winds, anglers banked pinkie snapper to 3kg along with the odd flathead from the rock wall at St Helens boat ramp. If able to head out in the boat casting plastics near the Geelong waterfont was a sure bet for pinkies and Australian salmon to 1kg in weight. Limeburners boat ramp was a garfish hot spot with small pieces of pippie or prawn under a float working a treat. 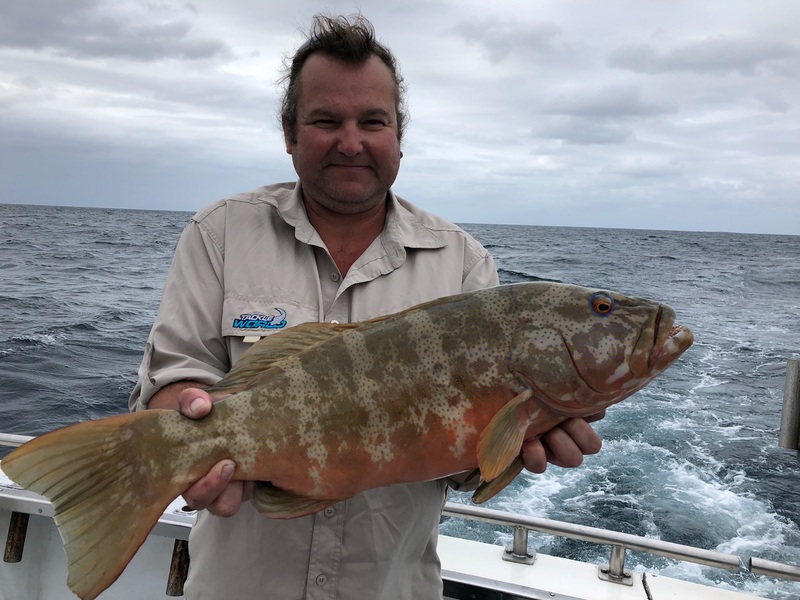 Heading down the Bellarine Peninsular and along the Curlewis Bank King George whiting made their presence known to anglers, with fish to almost 40cm in length not uncommon. Squid were also about but proved hard to tempt with the wild weather. Of note there has been a few nice garfish taken of the new jetty at the Clifton Springs boat ramp. Land based anglers seemed to have the best results last week with access to locations offering shelter from the winds. Portarlington Harbour as one of those places seeing King George whiting, pinkies and Australian salmon all on offer. Bait fishing proved most effective with pippie the go for the whiting and blue bait working on the salmon and pinkies. Queenscliff Pier saw squid engulf size 3.5 jigs fished when the water clarity was reasonable. Offshore the weather kept most anglers away but those who travelled west to Portland / Port Fairy found plenty of Bluefin tuna to 20kg. Reports also came in of barrel tuna out from Portland. As the weather begins to improve so should the Bluefin tuna fishing. Small three or four inch skirted lures will work well for the school fish and barrels seem to have a liking for larger lures like the Tornado T7. Freshwater fisho’s also battled the weather but the cold snap seems to have woken up the trout. Wurdee Boluc the lake of 1000 cast saw big redfin to over 40cm on the move along with rainbow trout to over 1kg. Long cast with lures like Pegron Tiger minnows worked best. Stony Creek produced brown trout and good numbers too with the average fish over 1kg. Casting tassie devils in pink #55 was most productive. In the mix a few large redfin showed up. Lake Purrumbete stared to stir with trolling the east bank a productive choice for both brown and rainbow trout. Keep a look out as there are sure to be a few hungry brook trout too. Speaking of brook trout Peri Stavropoulos took a run up to the Rubicon River where he had no trouble in landing numerous brook trout on hard body lures. A few Trout and Redfin being caught in the River Yea,Trawool to Seymour, Worms and small Yabbies getting the Redfin and small Hardbodies such as TD Minnows, Tassie Devils and Mapso and Rooster Tail Spinners getting the Trout. A few Redfin between Seymour and Nagambie, water is very cool, so the Natives have gone quiet. Below the Weir and towards Shepparton is fishing really well, the River seems really clear making lure fishing really good, Trolling Hardbodies such as Old Mates, Codgers and Stumpjumpers, Casting Balista Hardbodies and Vibes, Pirate, 4D and Bassman Spinnerbaits and some Surface and Swimbait fishing all working really well, Tim and Dunny had a great session at Toolamba catching plenty of Cod, quite a few fish between 80 and 93cm, and with plenty of other customers catching a lot of Cod between 55cm to 80 odd cm's there is plenty of Big fish to be caught and we are getting similar stories from Undera way also. 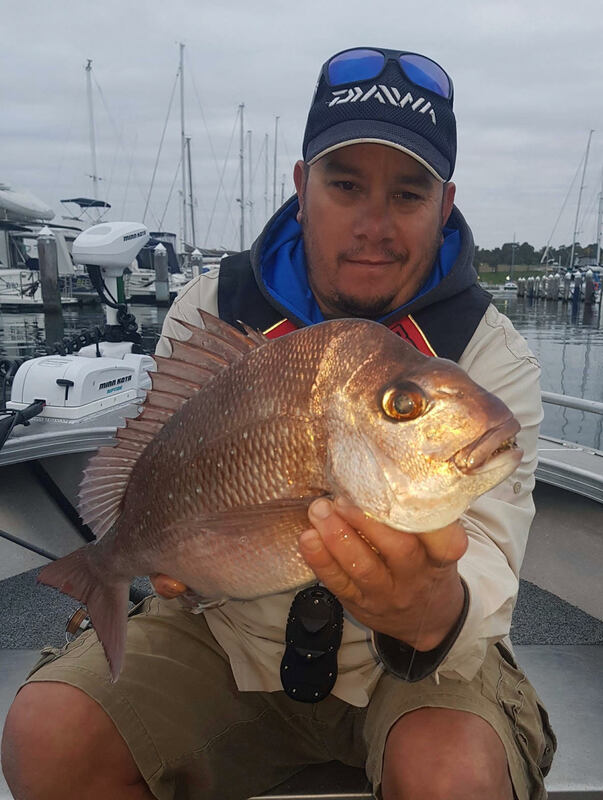 The Waranga Basin is still fishing ok, plenty of small Redfin, unfortunatly you still have to work hard to get the bigger fish, 55mm Codgers in Red, and the White RMG Poltergeist the standout lures. A similar story for most of the Main Channels, with Redfin the consistent target on worms and small yabbies. Besides the great Cod being caught in the River, a few smaller Cod are being caught on small Vibes, Plastics and small surface lures in Victoria Lake by fisho's chasing Redfin and Trout. Trout on Powerbait under a float around the big Grass Hill at Aqua Moves, great fun for the kids.The Main Eastern Channel towards Euroa/Shepparton Road is still producing some nice Cod, mainly on Cheese. Haven't heard of a whole heap of fish being caught in the lakes in the last week. Especially Nillahcootie, however Eildon is doing ok with brown trout starting to come into the scene, there doing reasonably well around Bonnie Doon on the pink tazzie devils with the biggest getting up to 60cm. The redfin are still on the bite over towards Eildon however the size is dropping off with the colder weather, there being caught on scrubbies, soft plastics and small yabbies. There were a few cod landed getting up to 80cm on the big bassman DT spinnerbaits in the black and red unfortunately they wouldn't give up the location along with a nice yella caught in the shallow grassy flats out towards Frasers national park, as the lake is starting to finally rise its worth a trip onto the grassy flats as you might score a yella or some decent reddies, that's all for this week. 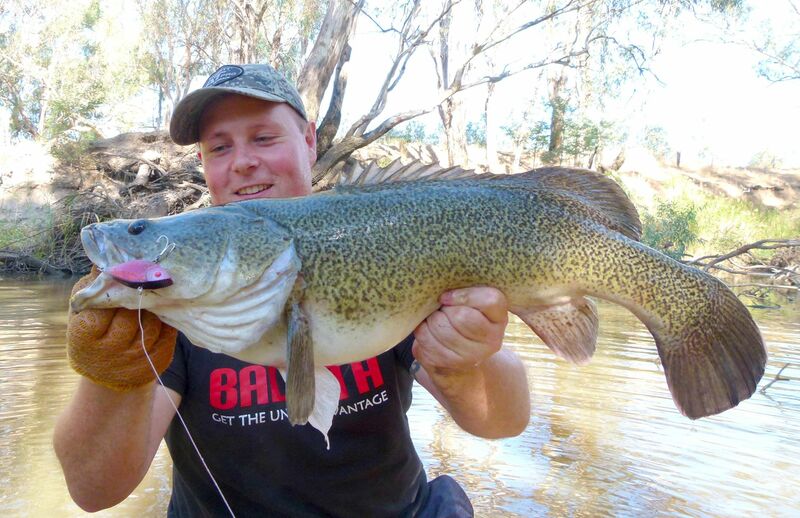 Stories of heaps of big Cod being caught over the long weekend, everywhere from Echuca to Mulwala to Bunderlong, a lot being caught on Surface Lures, Spinnerbaits and Trolling all sizes of Hardbodies in water less than 2 metres deep. Tocumwal area has been the standout, Beari has been a little hit a miss. Surface fishing at Night in Lake Mulwala and Bunderlong area is fishing well for big Cod also, Most Fisho's getting a shot at a metre plus fish most sessions and the fishing in the Murray is only going to get better, the River will be probably low and clear like it was in the last few months of last season, so we feel it will be a great opportunity for fisho's that haven't caught that metre fish to get up over the next few months and have a go, if you put the time in, you will get one. Shepparton PRO Staffer Shane fished with some shop Regulars Gavin, Rob, Dave, Ian and Gerard at the Abrolhos Islands off Geraldton with Blue Lightning Charters having a great trip, among the fish caught where 20kg Cobia on soft plastics, up to 18kg Spanish Mackerel and 68cm Coral Trout on Rapala and Halco divers, WA Dhufish up to 12kg on soft plastics, Baldchin Grouper, Crayfish and many more, plenty of PB's and first's for everyone involved, great trip.